It did take me quite a while to put together the tart, syrup and syllabub. It left me wondering how the contestants turn these things out in such short periods of time during the competition! I almost gave up on making the syllabub but since I’d already bought the ingredients for it, I made it anyway. 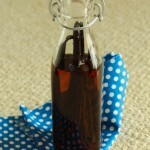 Making the syrup was a lark in comparison to the different stages involved in making the tart itself. 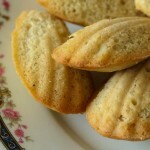 The original recipe is for four individual small tarts made in tart tins about 10cm/4inches in diameter. Since I do not have individual tart tins, I used a regular sized fluted flan tin instead that I’ve used before to bake pies. 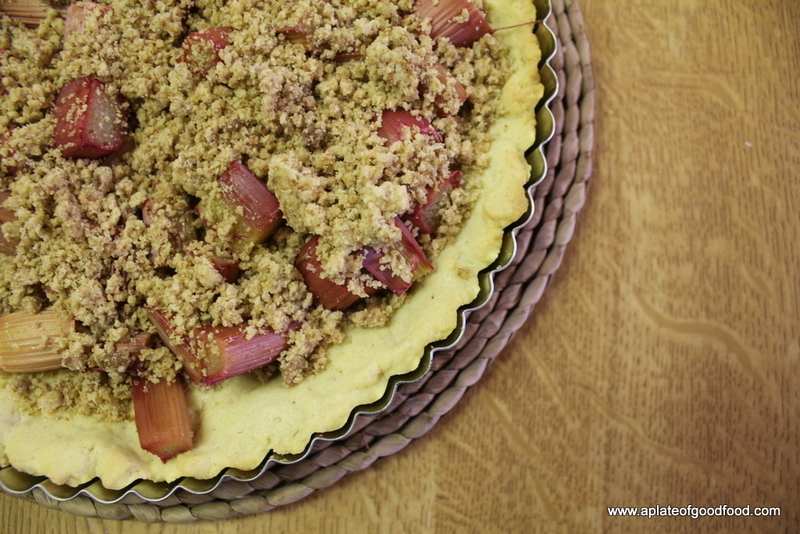 What I got in the end was one big rhubarb crumble tart. 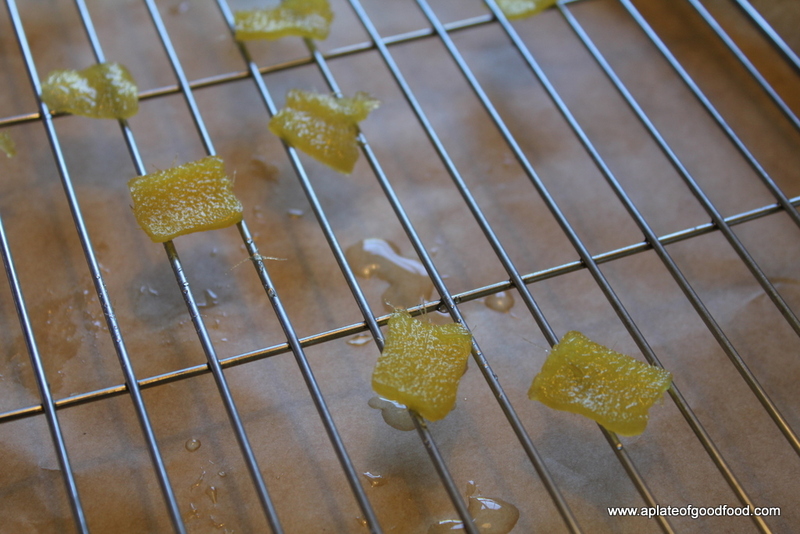 *Peter was making some ginger syrup and candied ginger for adding to a sugar loaf he was baking, so I used some of that for the syllabub. 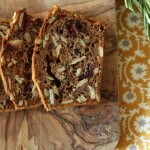 You can find an easy how-to for this on the guru of all things baking related, David Lebovitz’s site. 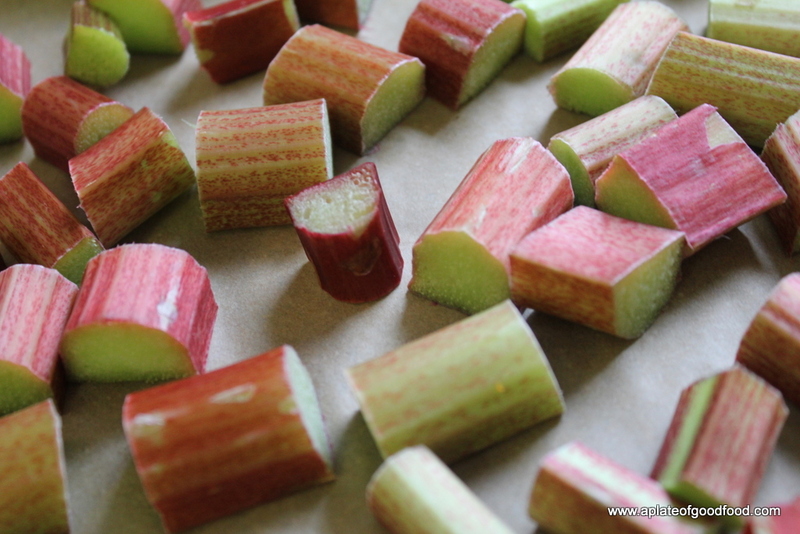 Place the remaining rhubarb on a baking sheet. 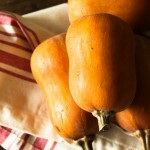 Sprinkle 2-3 tbsp of sugar on top and bake in an oven preheated to 180 degrees Centigrade. Continue baking for about 20-25 minutes. 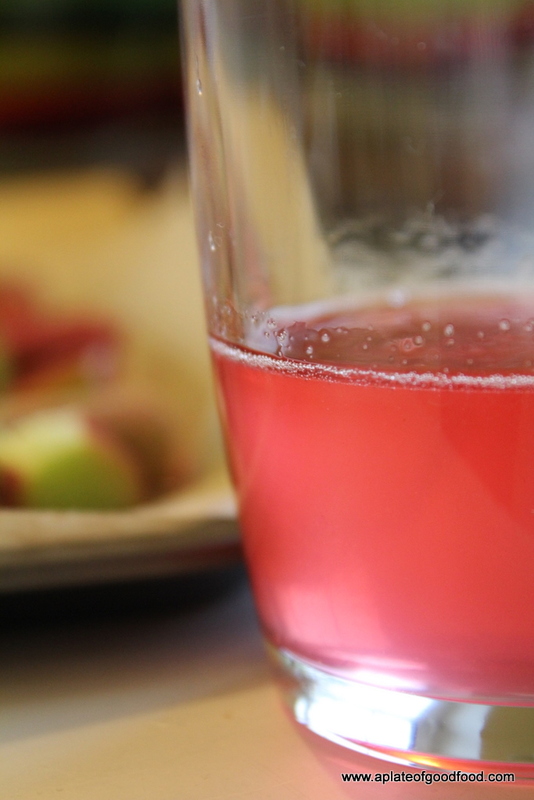 This makes the rhubarb really soft. To make the base of the tart, put the blanched almonds (or any other nut you’re using) and sugar in a food processor and mix. Add the remaining ingredients except the egg and run the processor again to combine. While the processor’s running, slowly pour in the beaten egg and let it form a ball. You may find that it does not really form a ball. If this happens to you as it did to me, you can remove the dough from the bowl of the processor and form it into a ball with your hands. Wrap in cling film and let it chill in the fridge for a good half hour. Once the dough is chilled, remove from fridge and press on to the base of the tart tin to form the base. Preheat the oven to 190 degrees Centigrade. Place the tart base into the oven and cook for about 10 minutes until golden. Make the crumble by putting all ingredients in the food processor and mixing for a short while until it resembles bread crumbs. 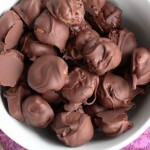 Spread the mixture on a lined baking sheet and bake in the oven for about 10 minutes. I put in both the tart base and crumble to bake at the same time. You can make the syllabub in the mean time. Mix the ginger syrup and cream together and beat until stiff peaks form either manually or using an electric whisk or food processor. Place in the refrigerator and chill. Once the tart base and crumble are cooked, take them out of the oven. 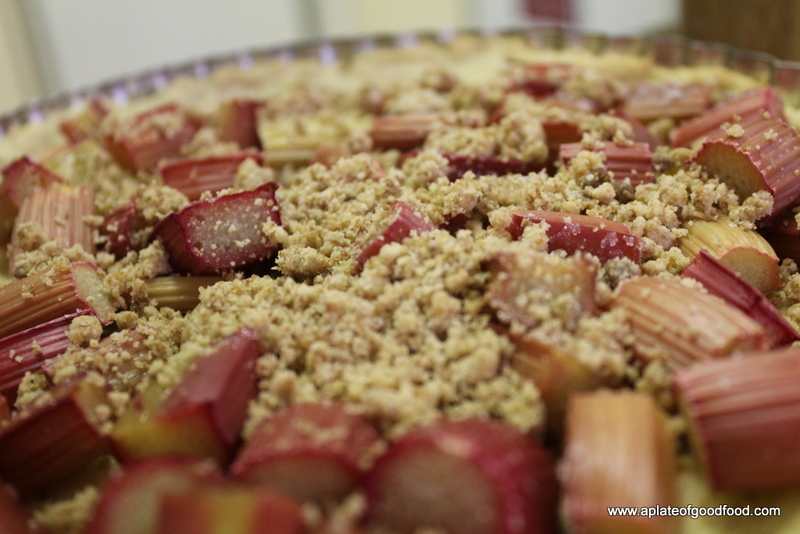 Add the cooked rhubarb pieces to the tart. 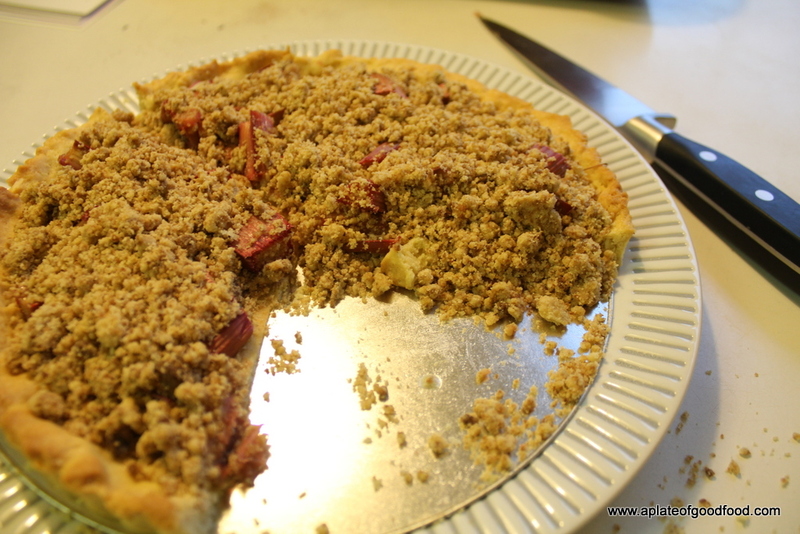 Evenly spread the crumble on top. Serve slices of the tart with a dollop of the syllabub and drizzle over a couple of teaspoons of the syrup. 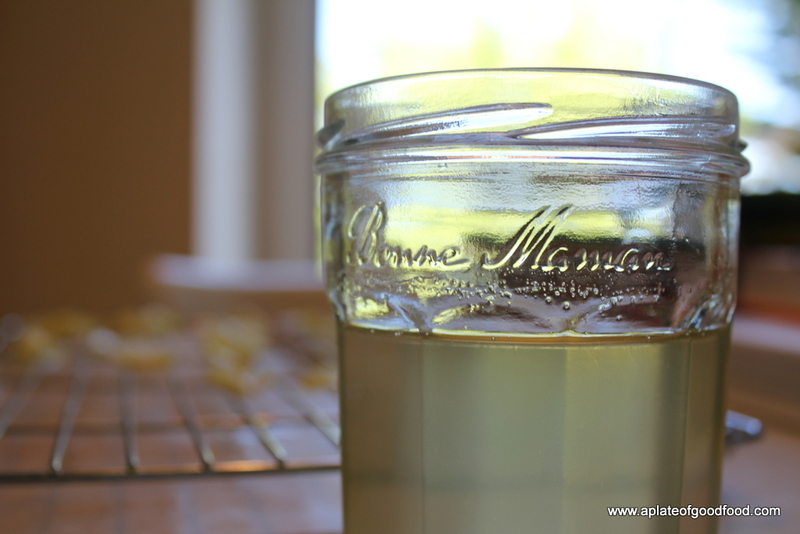 You can use slices of candied ginger to garnish the syllabub. The effort I put in to make all three components of this dessert seemed worth it after we’d tasted just one spoonful of it. 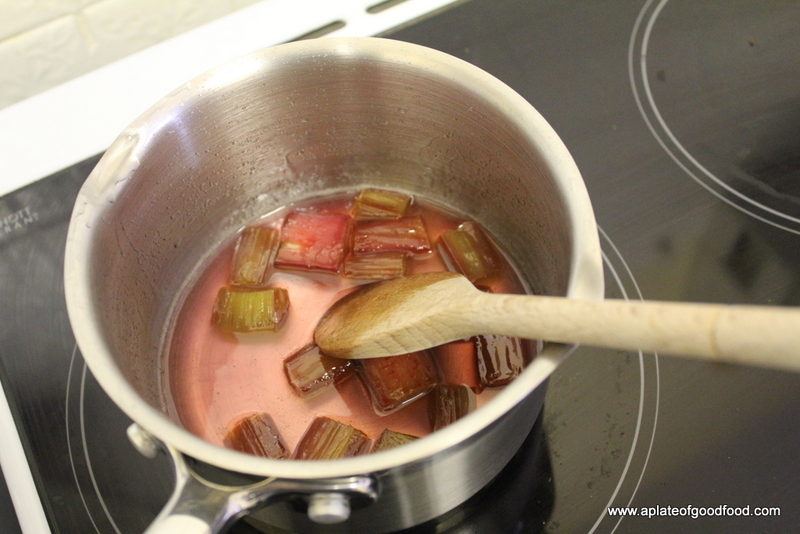 The tartness of the rhubarb is finely balanced by the syrup. The creamy syllabub is complementary to the crumbly top and the nutty crust of the tart. Simply beautiful! 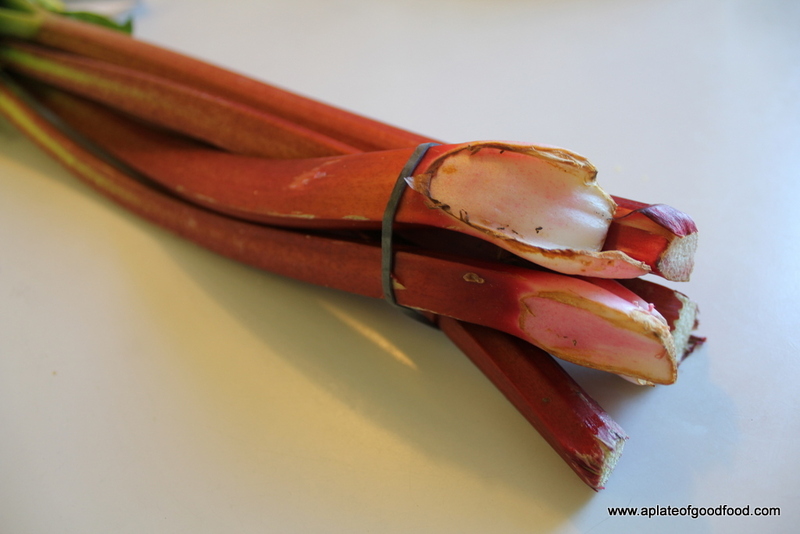 I just adore Rhubarb and am lucky enough to have it growing out the back. 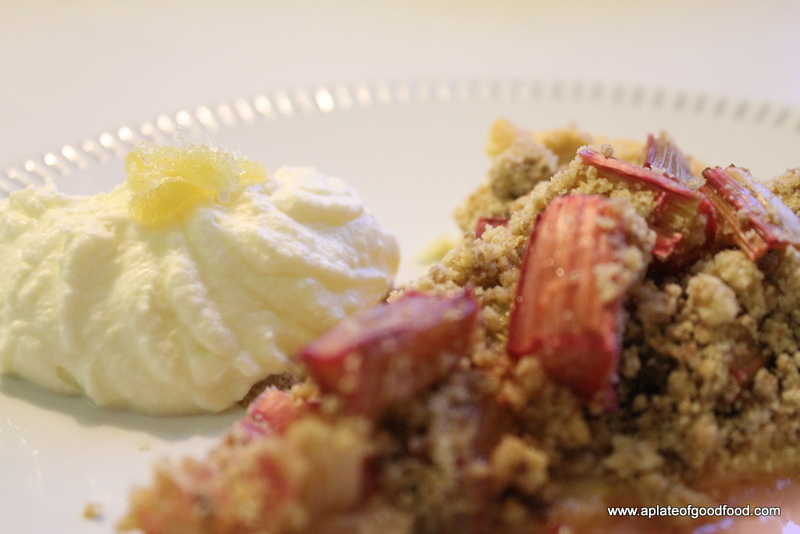 This years rhubarb is ready to harvest about now and I think that a tart may be on the cards. Who knows Maybe even a crumble tart. 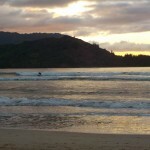 Love Your Blog by the way and your post on doing what you love in life really touched a chord with me.